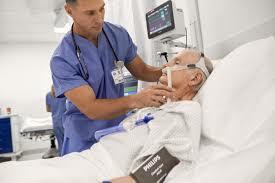 Royal Philips (NYSE: PHG, AEX: PHIA), a global leader in health technology, today announced the Philips V60 Plus ventilator has received CE mark approval. This comprehensive solution expands on Philips’ noninvasive ventilation (NIV) gold standard platform, integrating both NIV and high flow therapy (HFT) in a single device. Clinicians can rapidly adjust therapies around constantly changing patient conditions without having to switch devices. Designed for early intervention in respiratory failure, the V60 Plus enables clinicians to further enhance patient outcomes with less invasive respiratory care therapies, while improving clinician workflow and maximizing equipment investments. This solution expands on Philips’ commitment and leadership in hospital respiratory care. The V60 Plus has received CE mark and is available for sale in Europe, and the U.S. Food and Drug Administration (FDA) 510k has been submitted. For more information on Philips’ full suite of hospital respiratory care solutions, visit https://www.usa.philips.com/healthcare/solutions/hospital-respiratory-care. Complications of non-invasive ventilation techniques: a comprehensive qualitative review of randomized trials. M. Carron, U. Freo et al., British Journal of Anesthesia, June, 2013.